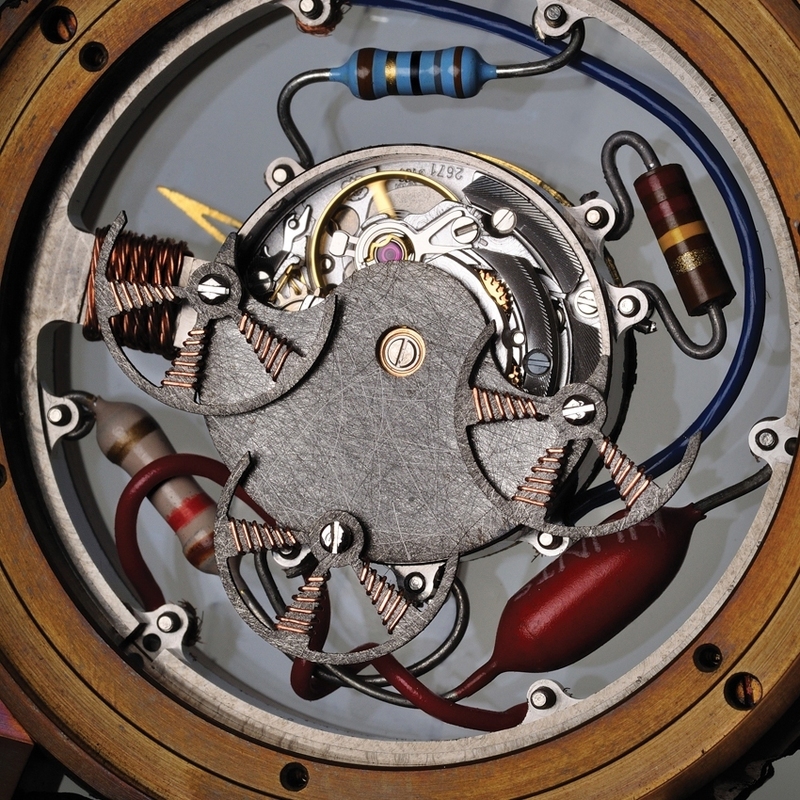 The tension is palpable in the Quadri Rotor Squelette, an extravagant tribute to the magic of electricity! The case has been submitted to charges of 100,000 to 1,000,000 volts, and the movement with four rotors – one central and 3 off-centre – comprises electrical components and recycled watch parts. 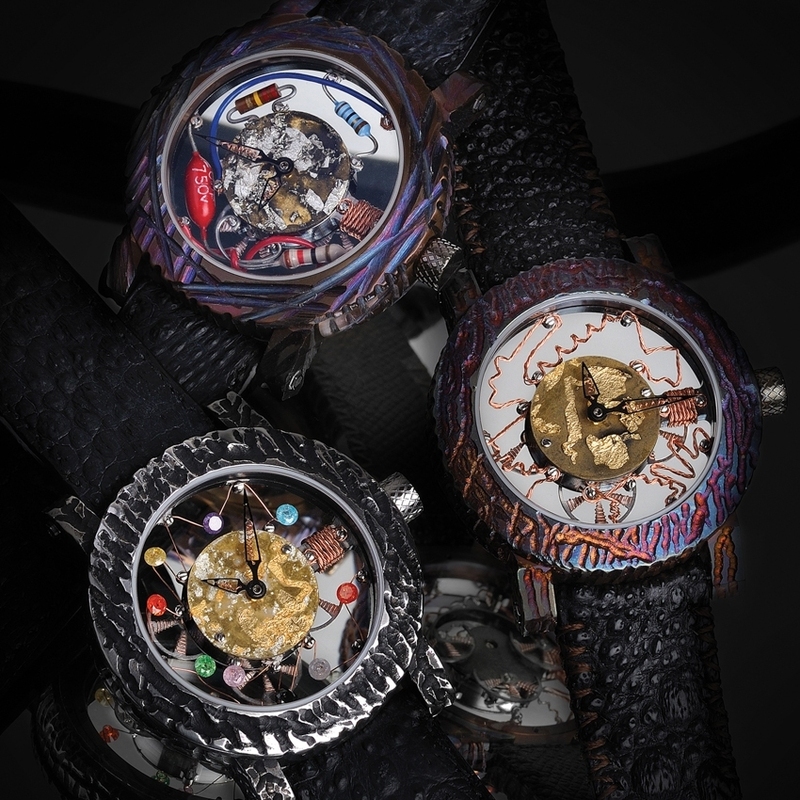 Yvan Arpa, a cool and controversial creator, has put his name to this collection of unique, and wildly electric, mechanical watches. Shaped by whim and inspiration, the Quadri Rotor Squelette is available in three super-charged versions. An indication of what lies inside is supplied by coils, diodes and anything else that might tame lightning, a tribute to the copper wire and precious and semi-precious stones that decorate the dial and reflect the light. Each piece in the collection is unique 1/1.